Julian Assange, the WikiLeaks founder who’s been hiding in the Ecuadorian embassy in London for the past six years, had his internet cut off today. And his supporters are so worried about his inability to communicate with the outside world that they’ve started to assemble outside the embassy. 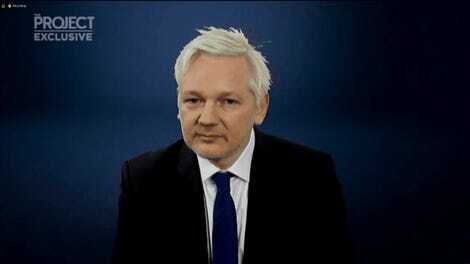 Ecuador issued a statement confirming that the embassy had cut off Assange’s internet, saying that he had failed to comply with a commitment not to interfere with Ecuador’s relationship with other countries. It’s not immediately clear what “interference” Assange may have engaged in, though he has used Twitter for things such as advocating for Catalan independence in Spain and DM-ing with family members of the Trump regime. The former got Assange into trouble with Ecuador in the past, though the only other time his internet was cut off was during October of 2016 in the lead up to the US presidential election. Assange has been in the Ecuadorian embassy in London after he skipped bail in June of 2012. Last month, a British court ruled that the warrant for his arrest was still valid, despite the fact that Sweden had suspended its investigation into sexual assault charges against the WikiLeaks founder. Assange fears extradition to the United States. It’s unclear how long Assange will have his internet cut off, though reports that his access to visitors has also been cut off have yet to be verified by any credible new outlet. 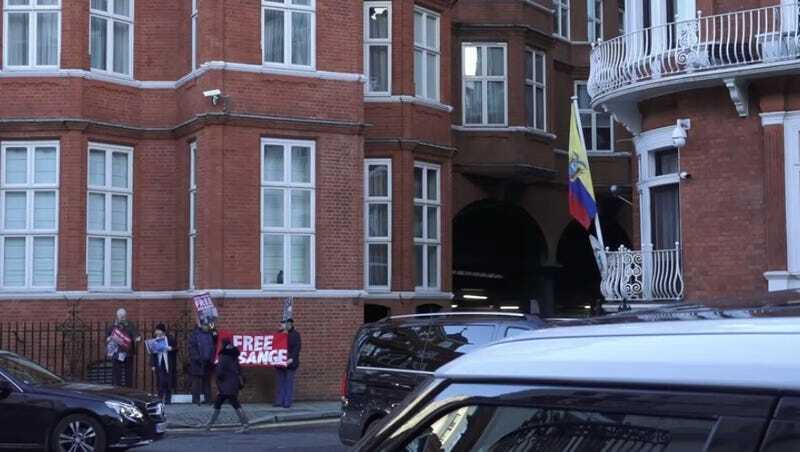 Assange supporters in London are being urged to assemble at the embassy today, and RT has a camera staked out to watch his window. You can even watch the livestream on Twitter. The president of Ecuador, Lenin Moreno, has previously called Assange’s presence a “nuisance” and an “inherited problem.” But so far there hasn’t been public talk of kicking him out. If Assange continues to create headaches, that discussion might change.